New York Advertising Photographer captured this amazing shot, whiles shooting for The Islands Of The Bahamas over Cabbage Beach located on Paradise Island near Atlantis and RIU Hotel. A beautiful beach with full soft white sand known to have strong rip currents. All the normal water sport activities and beach goodies are available. 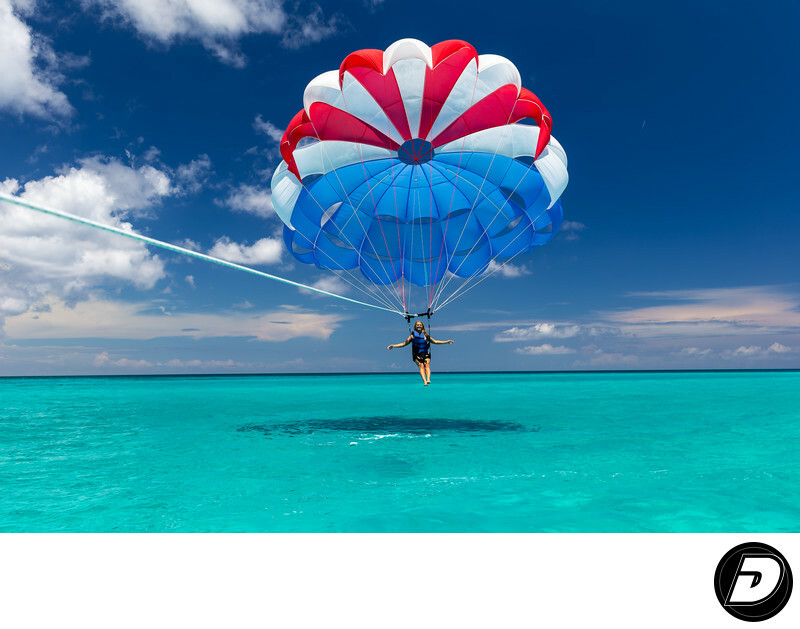 Parasailing is just one to mention. Location: Nassau, New Providence Island . 1/100; f/5.0; ISO 50; 35.0 mm.